When you run a business, you make decisions on a regular basis. Many of those decisions involve legal implications. Signing a lease, hiring an executive, branding a new product or service, borrowing money, selling a division – the list goes on – all have legal considerations. Adam brings an understanding of business to his representation of clients. He understands that legal considerations, while important, are only one aspect of making informed business decisions. Depending on the nature of the transaction, you may have to consider and balance many other factors, such as return on investment, effect on staff, impact on your brand, capacity of your vendors, liquidity and opportunity cost. Important decisions should not be made with a one-size-fits-all approach. They should be tailored to your specific business situation and goals. 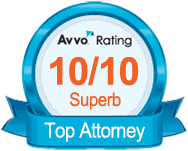 Adam provides business counsel to clients based on over 20 years of experience in law and business. He provides straightforward advice and guidance to assist you in making decisions. He enjoys finding creative, holistic solutions to your business challenges. Risk is inherent in business. 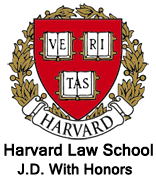 Lawyers sometimes get the reputation of being “deal breakers” because they try to eliminate the risk in a transaction. But that’s not possible. Adam is a “deal closer”. His goal is to encourage successful, win-win transactions while minimizing and managing risk. Every paragraph in an agreement could be negotiated for hours, but that would be time-consuming, counterproductive and expensive. Adam can help you prioritize what’s important based on your business objectives. Adam’s experience includes litigating business disputes. Adam’s understanding of how business disputes are resolved helps him to structure transactions and draft documents in a way to (hopefully) avoid them. After graduating from Harvard Law School with Honors, Adam worked as an attorney (and was elected a partner) at Gallagher and Kennedy, one of the largest and most respected law firms in Phoenix, Arizona. He worked on business and real estate transactions, as well as commercial and injury litigation. Adam then co-founded and served as CEO and General Counsel of a technology company. His responsibilities included strategic management, business development, financing, international distribution and managing the legal affairs of the company. He guided the company from a start-up to over $1 million in sales, and then to a successful sale of its assets. Adam has worked as a trusted legal and business advisor to a wide range of companies – from start-ups to established international companies – in a variety of industries, including computer software and hardware, manufacturing, retail, import/export, marketing and advertising, distribution, service, hospitality, travel, real estate and entertainment. Adam represents international, national, regional and local clients in a variety of business and corporate matters. 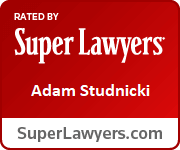 Check out the business services offered by Studnicki Law Firm. Adam has a rare combination of skills and experience that makes him particularly effective as a business counselor. As an attorney, he has experience both as a transactional lawyer setting up business transactions and also as a litigator resolving business disputes. As a businessman, he has co-founded and managed multiple companies. He is a co-inventor of two patents. He teaches business law part-time at Summit Law School. 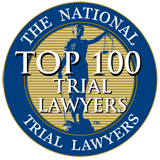 He has been recognized as one of Arizona’s top business lawyers. The combination of Adam’s technical legal knowledge, real-world business experience and applied wisdom helps him to find creative, common sense, pragmatic, holistic and successful solutions to business problems. Plus, Adam enjoys helping businesses meet their goals!